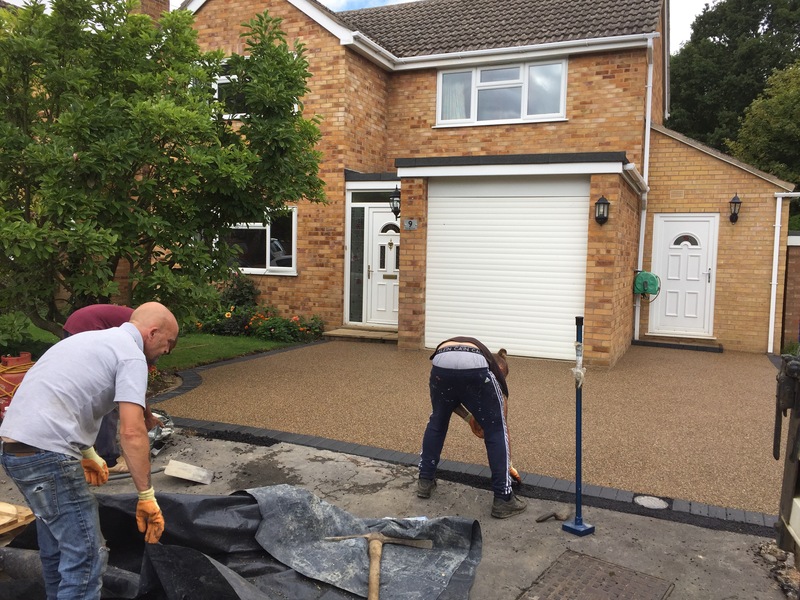 Our client contacted us after seeing us install driveway not far from them a month or so previous and loved the look of the product. 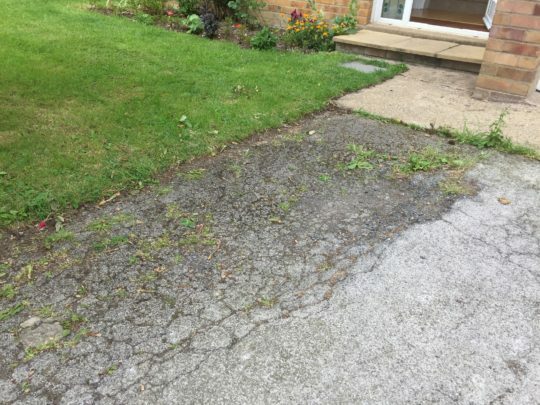 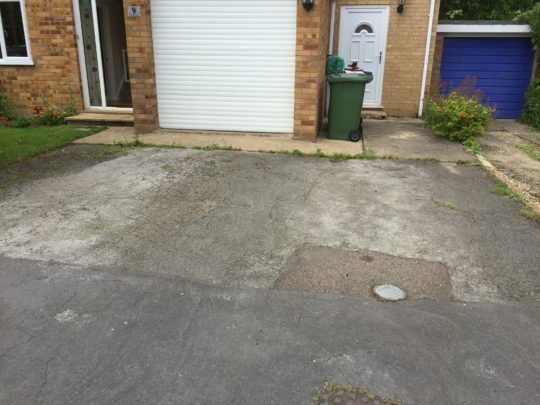 They wanted to improve the look of their current driveway which was on its last legs with worn tarmac and concrete which had sunk quite badly in places. A lot of the area was too badly damaged to be used for an overlay so we made good what we could and installed new base work with the areas too damaged and that had badly sunk. 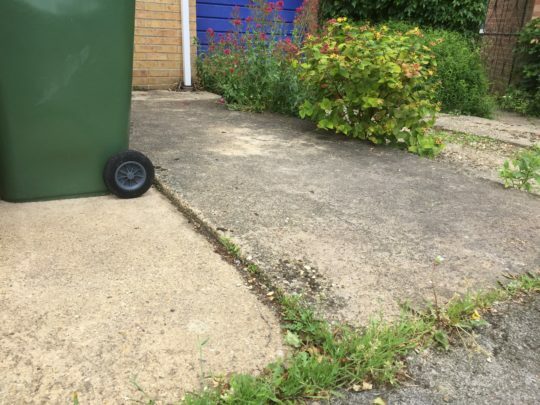 The customers wanted to extend the area to the front door by about a metre and also have the levels put right as the concrete and tarmac where different heights in different areas. 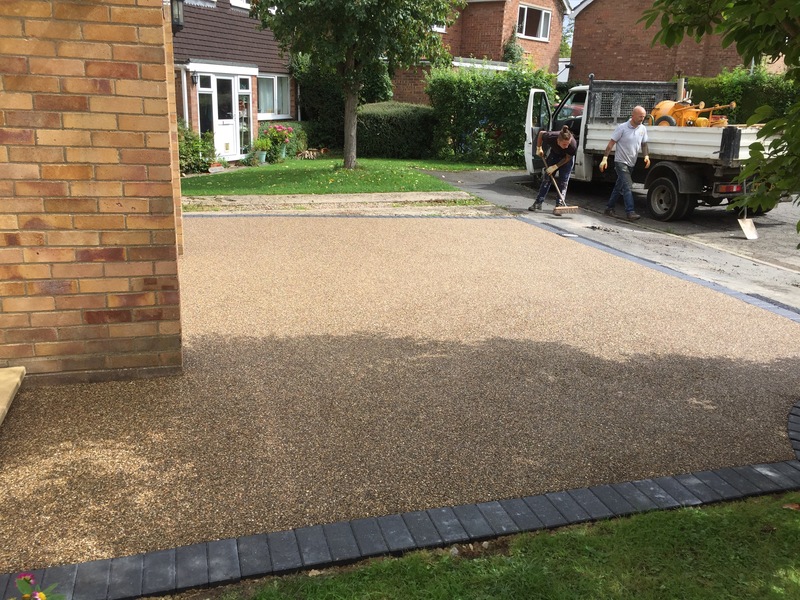 We installed new edging blocks and once the tarmac base had cured, installed Golden Pea aggregate bound in UV resistant resin for vehicular traffic. 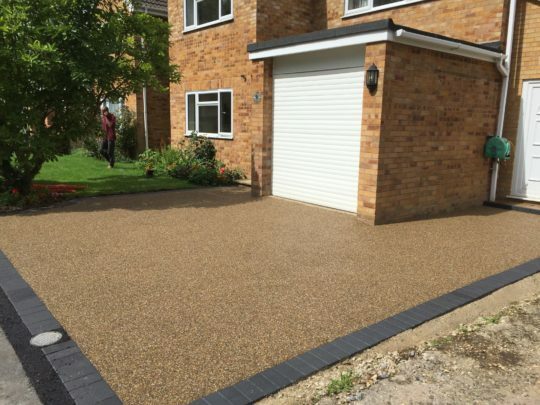 The result is a driveway that has totally transformed the look of the property and some very happy customers.